Come and see us at the Murphy Art Walk in the Hicks/Clines building across from the Daily Grind and Wine and next to the MAC Center, downtown Murphy. 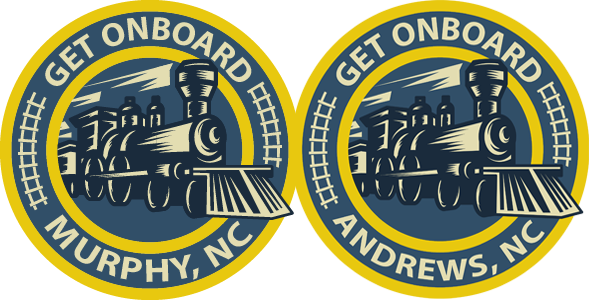 Learn more about "Calling the Train Home" project and what you can do to help! Come and set a new World's Record! We need your help! Be apart of making history in Murphy! We want the train back and we will whistle ourselves into the history books with a song and handing our train whistles. This is the event not to miss! This will be held at the same time with Murphy's Art Walk.